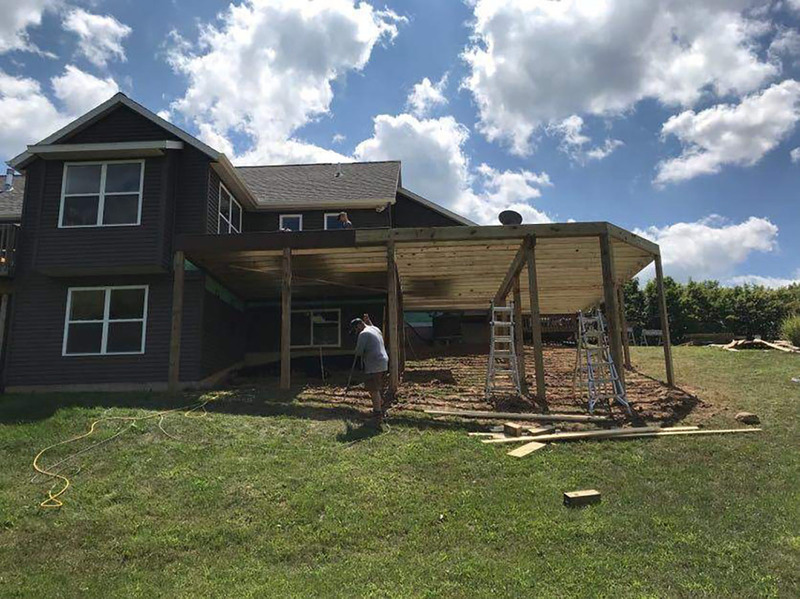 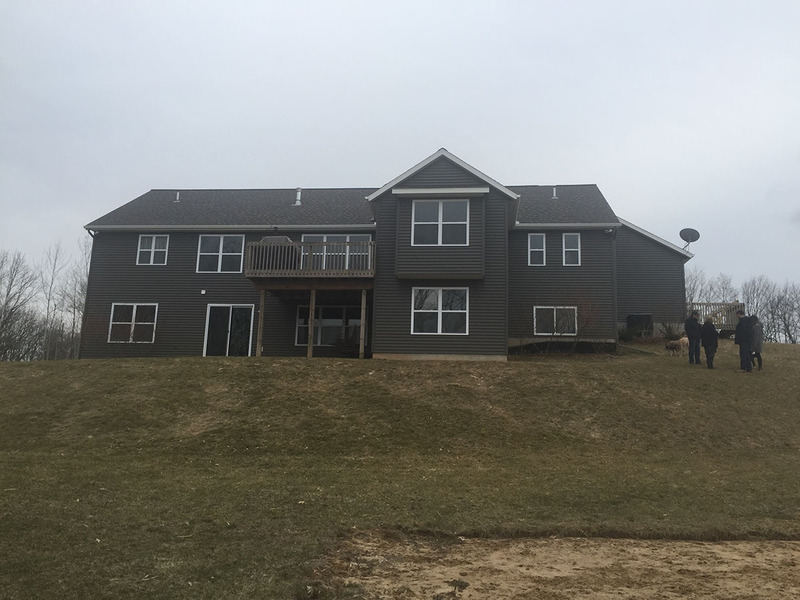 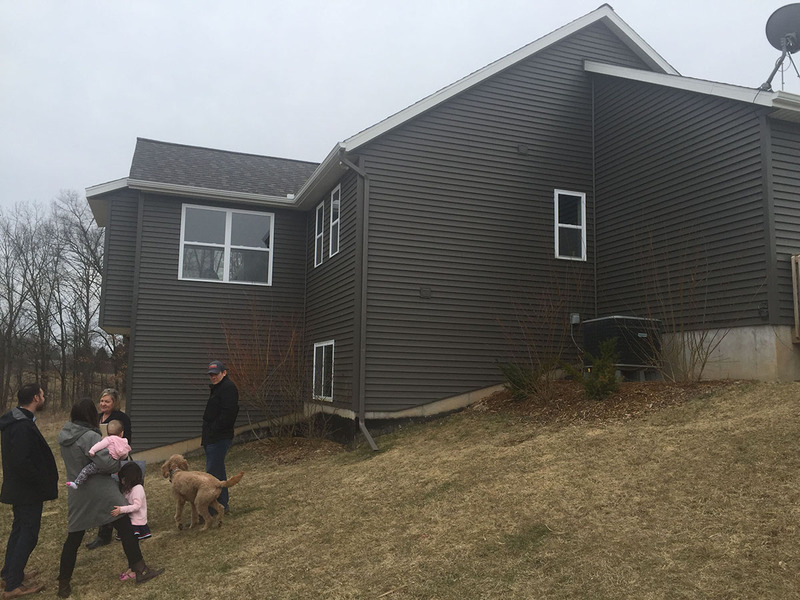 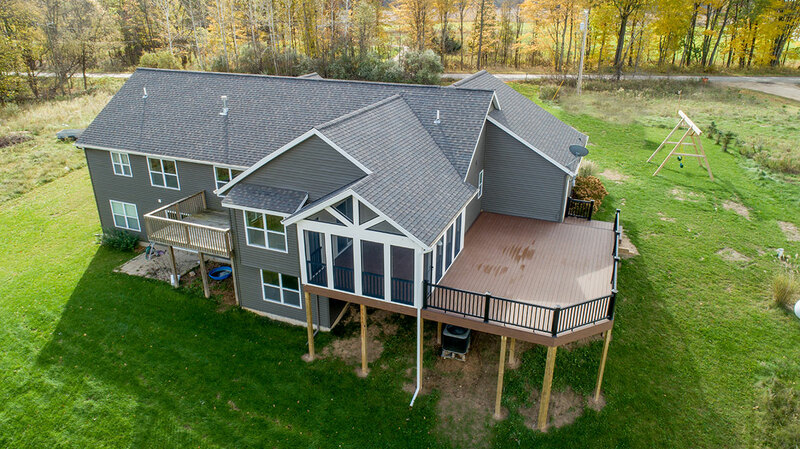 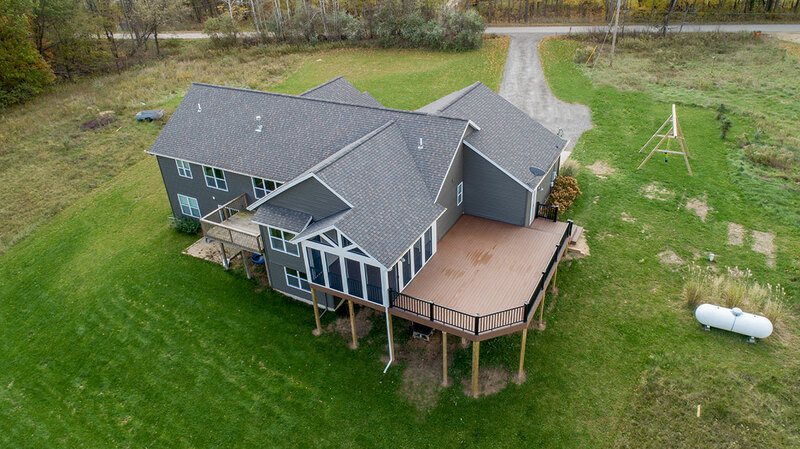 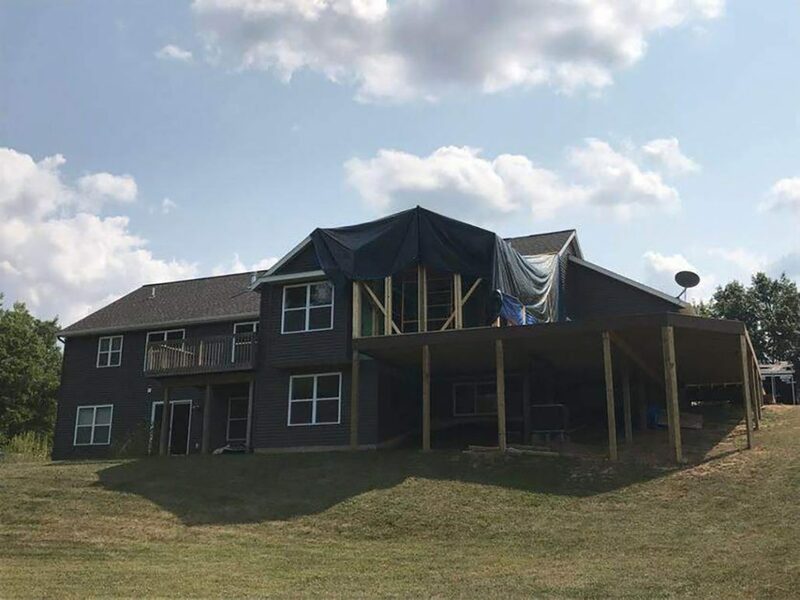 Screened In Porch & Deck Addition – Morris Builder's Inc. SCREENED IN PORCH AND DECK ADDITION. 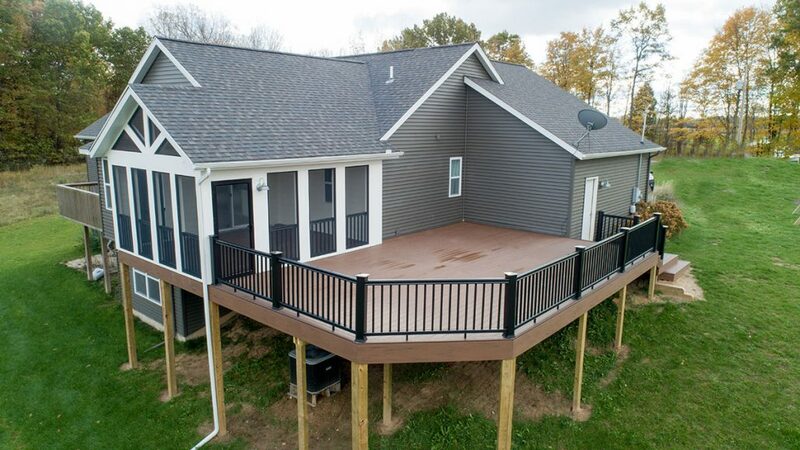 Screened in porch addition, large composite deck addition, new pergola. 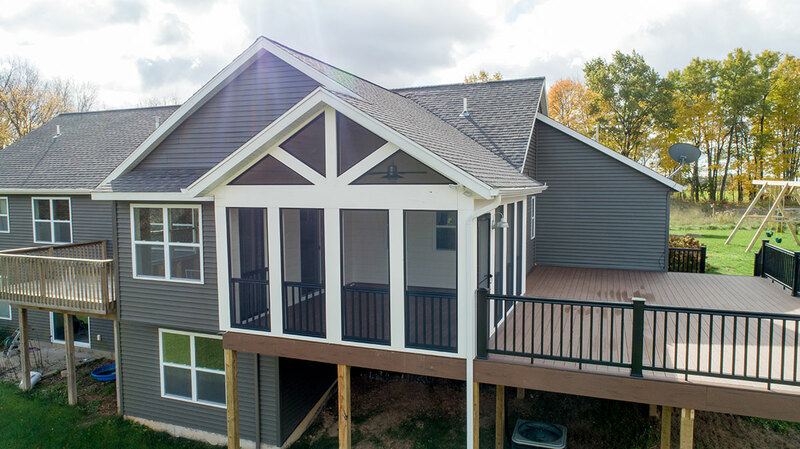 Create screened in porch with vaulted ceilings and composite decking off dining room with glass door. Screened in porch walls and ceilings to be shiplap.